Francis Mirković, a French Intelligence Services agent for fifteen years, is travelling first class on the train from Milan to Rome. Handcuffed to the luggage rack above him is a briefcase containing a wealth of information about the war criminals, terrorists and arms dealers of the Zone – the Mediterranean region, from Barcelona to Beirut, from Algiers to Trieste, which has become his speciality – to sell to the Vatican. Exhausted by alcohol and amphetamines, he revisits the violent history of the Zone and his own participation in that violence, beginning as a mercenary fighting for a far-right Croatian militia in the 1990s. 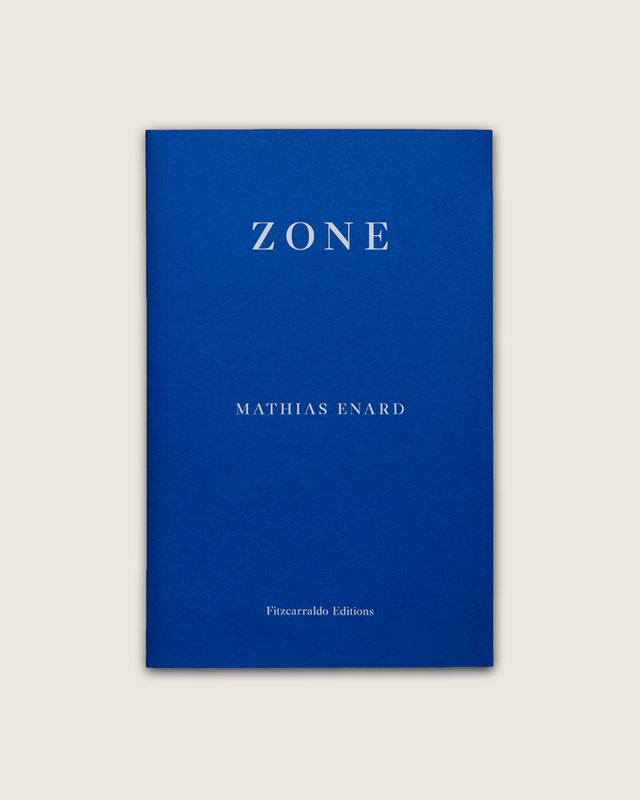 One of the truly original books of the decade, and written as a single, hypnotic, propulsive, physically irresistible sentence, Mathias Enard’s Zone is an Iliad for our time, an extraordinary and panoramic view of violent conflict and its consequences in the twentieth century and beyond.